That suns up most of my sewing yesterday! First, I finished this tag blankie for Baby L.
I didn’t think I had a good enough variety of ribbons but when I went through my trim stash, I found lots of interesting bits! Most of the items had polyester in them so before sewed them into the blanket, I used a lighter to melt the ends. 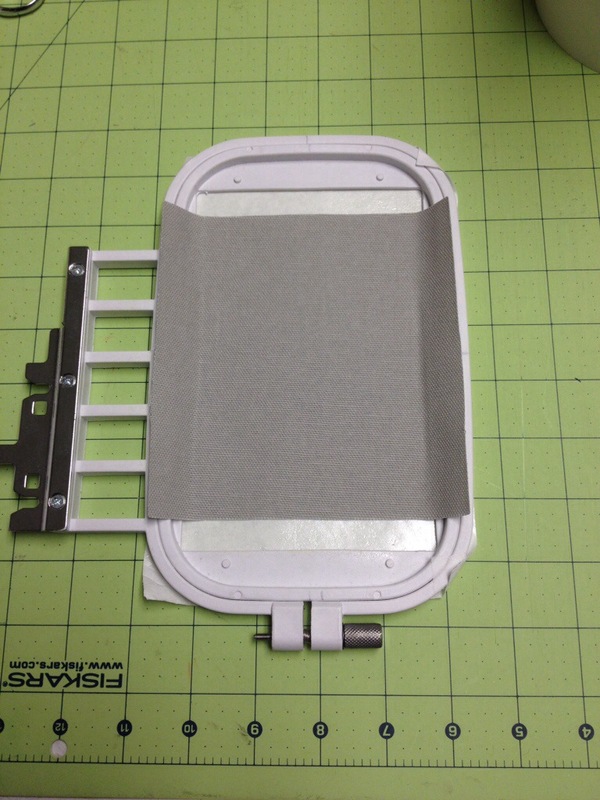 This will keep them from fraying and pulling out. I am pretty happy with how this turned out. I also started an embroidery project for the grandsons. I am making cloth books with shapes and colors. 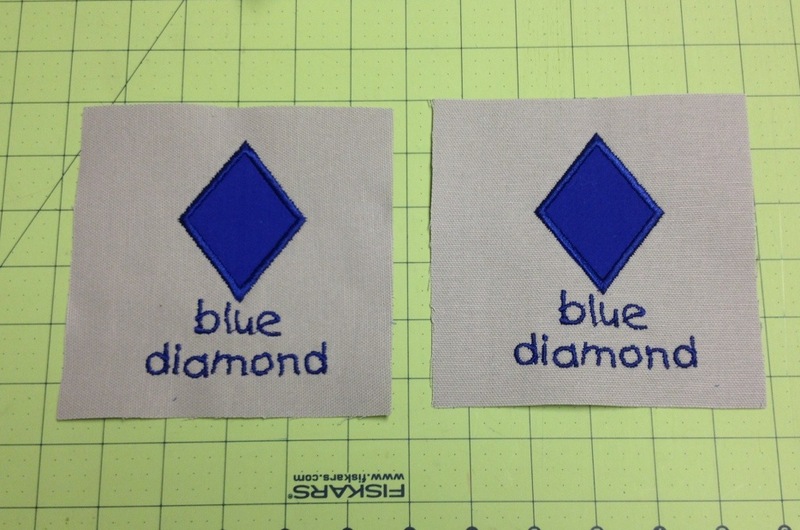 I am no expert at machine embroidery but I thought you might be interested in the simple appliqué process. First, I downloaded a free embroidery design pack from a web site that sells machine embroidery designs. I like to use sticky back stabilizer for hooping. I just stick it to the back of the hoop and then just lay my fabric on top. Easy peasy. 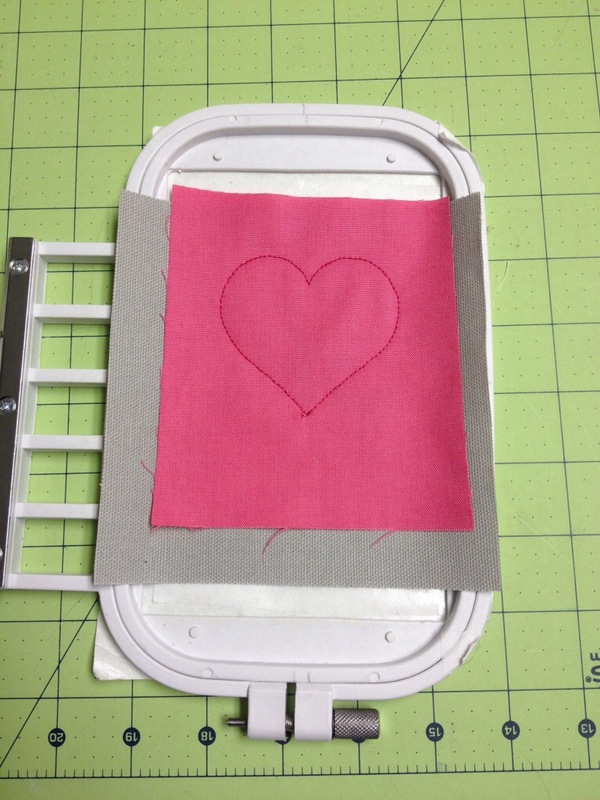 Then “block” 1 is stitched to show fabric placement for the appliqué. 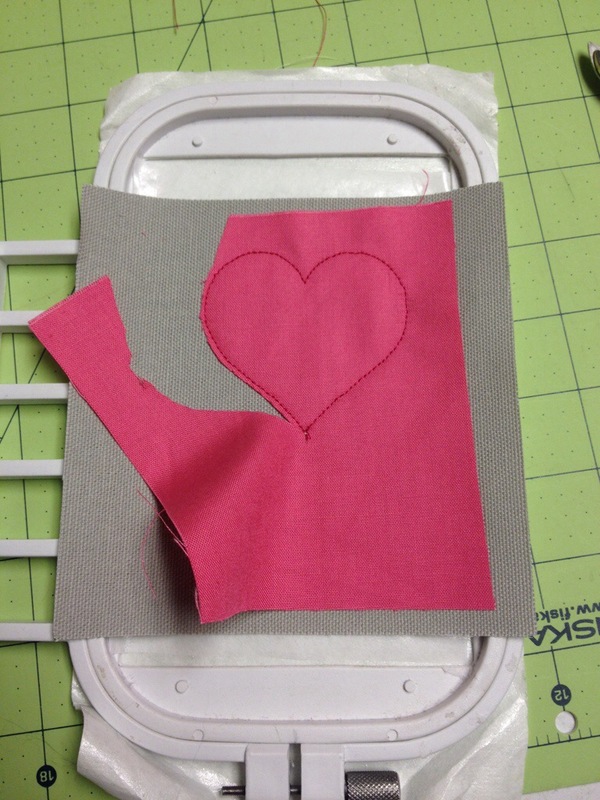 Cut away excess fabric close to the stitching. 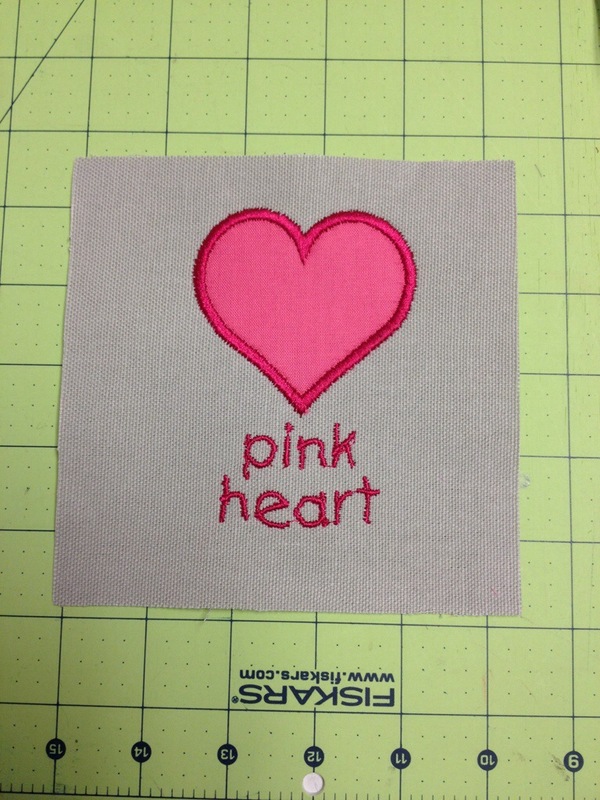 Put the hoop back in the machine and stitch the last block of the embroidery design. 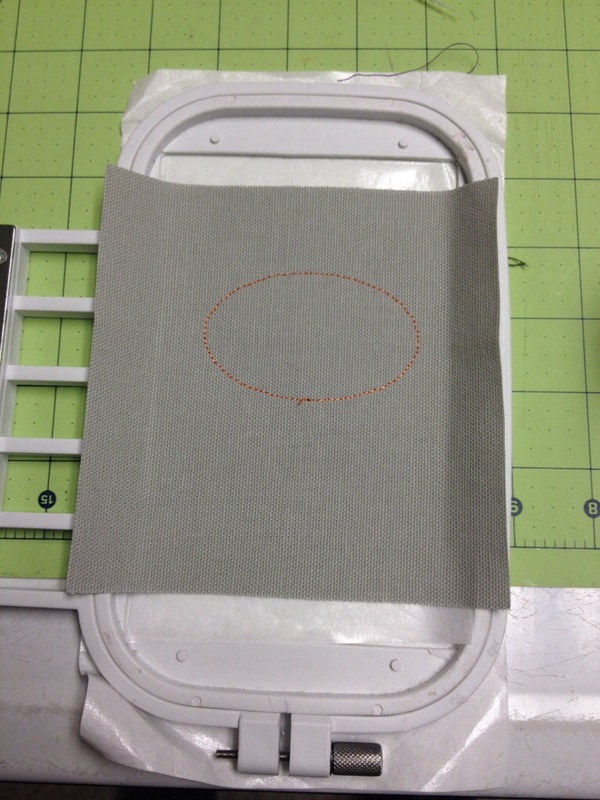 I use a drop of fray check at the beginning and end of jump stitches and then trim. I have two hoops this size so while one hoop was in the machine, I was removing the finished piece from the other and preparing the next piece. Not gonna lie, this is a lot slower process than it looks! I have a couple more pages to do and then the covers and assembly. I did get 5 more blocks for my Paisley album quilt done as well. Daughter #1 was not feeling well so our quilt date got moved to later in the week. Linking up with Connie at Free Motion by the River for Linky Tuesday. 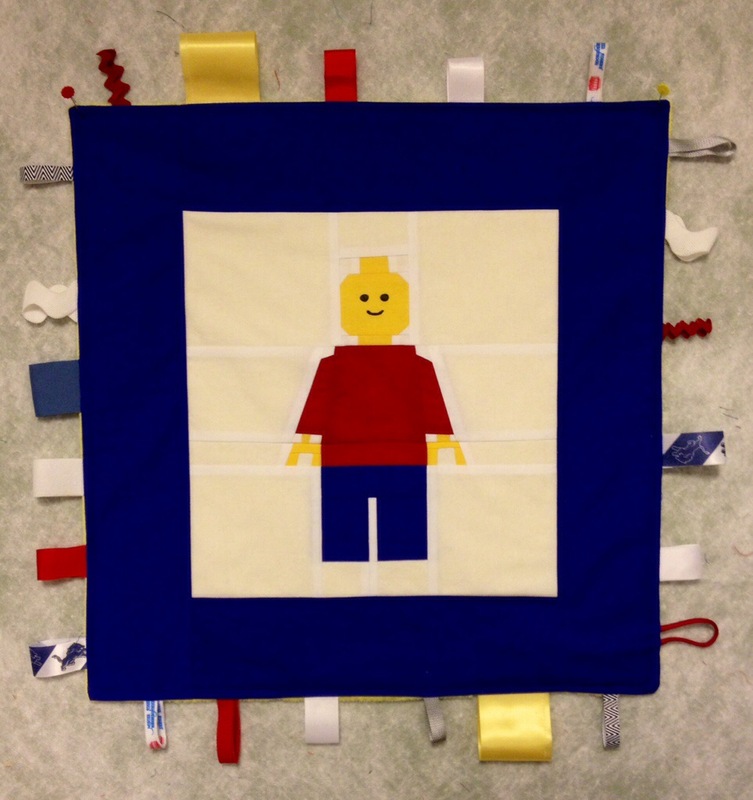 This entry was posted in Crafty Things, Embroidery, Uncategorized. Bookmark the permalink. My boys would love a quilt made with that block! They’re lego maniacs! Somebody will be a very lucky fella! And I love the sticky back stabilizer trick, easy peasy. I’m just starting to learn about machine embroidery. What a cute little tag blankie!! Thanks for sharing.